You'll be £15.00 closer to your next £10.00 credit when you purchase Garden Wildlife. What's this? 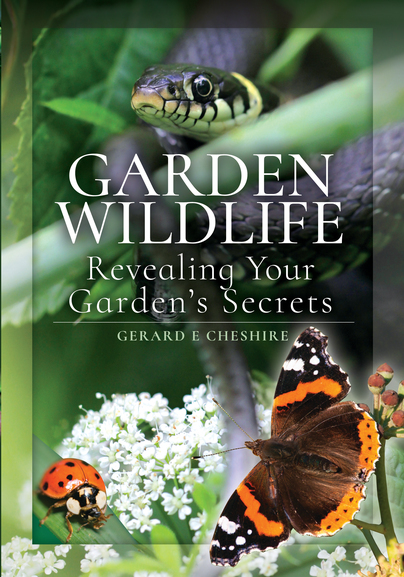 Garden Wildlife is a book that looks at the habitats in our gardens from the point of view of wild animal and plants. If we understand our gardens in this way, then we can appreciate that different parts of our gardens essentially mimic wild habitats in microcosm. This means that we can provide places for wild animals and plants to flourish in our gardens, whether they happen to be in rural, suburban or urban settings. Above all, we need to get away from the current obsession with tidiness and sterility in our gardens, and allow odd corners to go wild, so that our native species can live alongside us in the modern world. Without wildlife to discover and observe in our gardens, our lives are impoverished, so we have a duty to ourselves and our children to invite nature back into our outside spaces. The photography is beautiful and helps with the identification of the many whom we share our gardens with...I think they would be interesting for anyone who cares about the environment in which we live in and also maybe good books to tempt young people into taking an interest in who they are sharing their homes with. This charming guide is a useful addition to one's wildlife gardening library. Gerard Cheshire has written books about natural history for more than two decades. He has an MSc in ecology and is currently reading for his PhD. He spent his formative years studying animals and plants in Dorset and Hampshire, so already had a comprehensive knowledge of fauna and flora as a child, long before embarking on his eventual career as a writer and scholar.